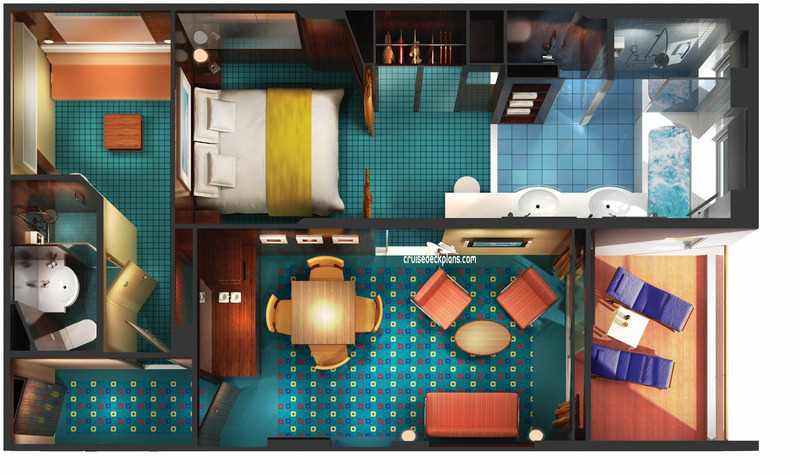 These are the typical floor plans for 2 Bedroom Family Suite Staterooms. Actual room layout and decor might be different. 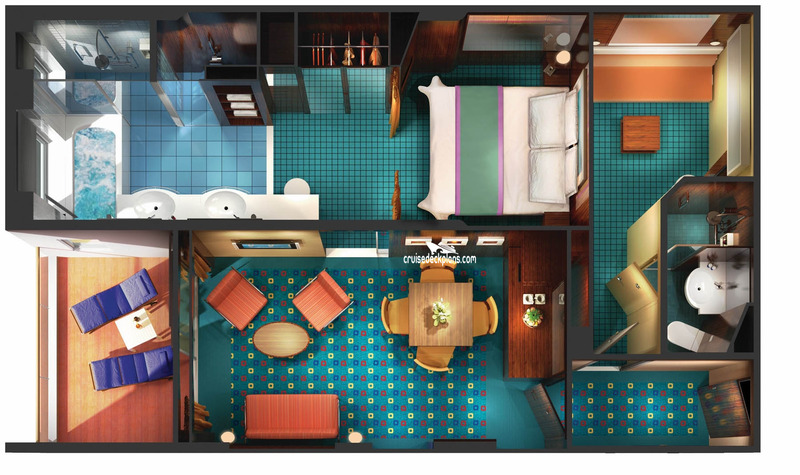 This is a 2 Bedroom Family Suite Stateroom. There are 10 of these types of cabins on this ship. The typical cabin size is 533 sqft (50 m2). The typical balcony size is: 54 sqft (5 m2). These types of cabins can sleep up to 5 people.